They're Back - Snails on Rainy Days! 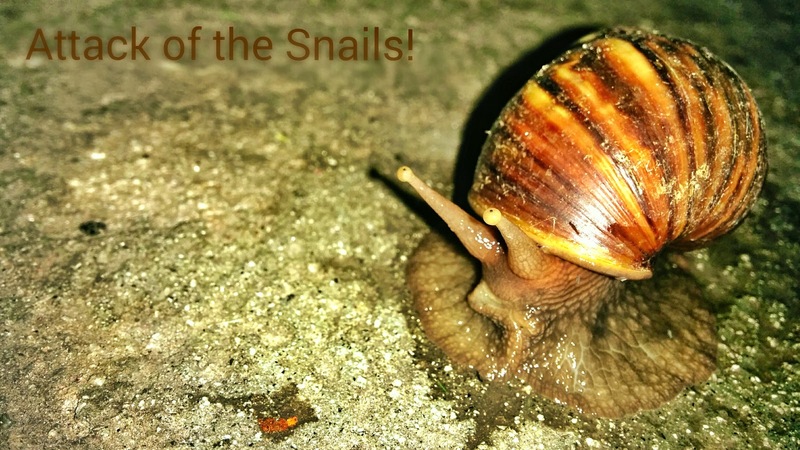 During rainy days or nights, most snails wanders around. Sometimes I accidentally step on these snails when I can't see them in the dark. But, most of them get squash by the cars on the road. Here are some of them lurking outside the kitchen.